Yaotzin Meza is prepared to put an 18th “W” on his record this Saturday when he goes against an experienced Ran Weathers in El Paso, TX. Yaddi has been training very hard and is ready to do whatever it takes to get the victory on Saturday. Yaddi is such a great teammate and training partner, we are all excited for him to get his chance to do his thing. Good luck Yaotzin, we are all proud of you and know that you will do great! 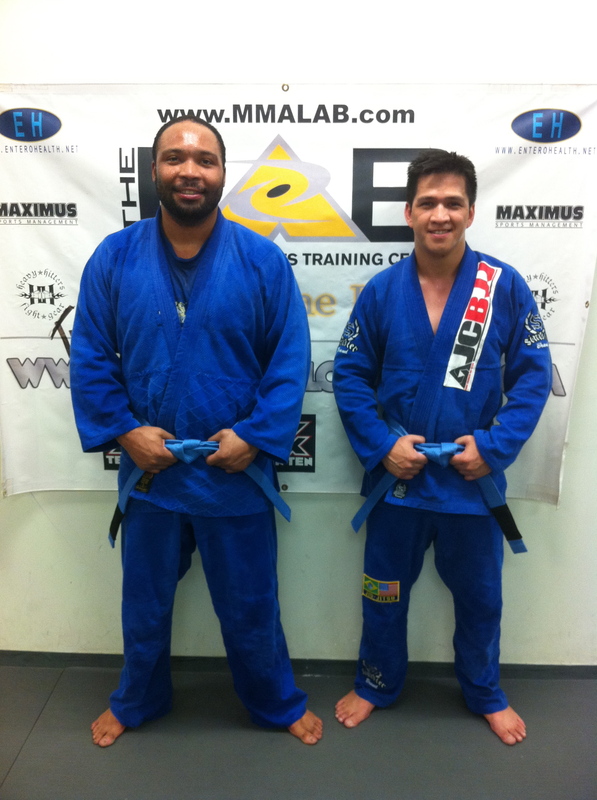 Today at the Lab, two deserving young men received their blue belts. Both Jeff and Dontel have put in a lot of time and hard work and are very deserving of this promotion. Congratulations guys, we are very proud to have you as part of our team! It’s time, once again, to meet one our JCBJJ team members. This month we are proud to introduce you to Ty Parten from the MMA Lab. 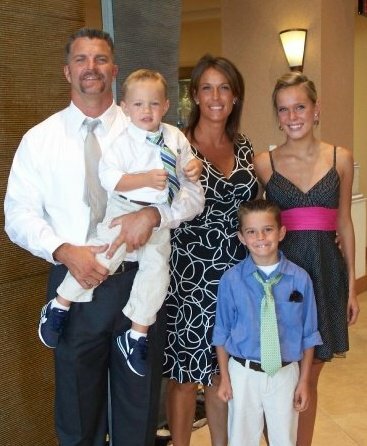 When Ty joined the Lab, he had already had a great career as a high level competitor; he was a stand out college football player at the University of Arizona, and played in the NFL with the Bengals and the Chiefs. This background has enabled him to really excel at jiu jitsu but his love of learning is really his greatest attribute on the mats. Ty has been successful in tournament competition as well, winning his weight division and absolute division in both tournaments he competed in. The best part about those tournaments? Seeing Ty supported by his wonderful family. His wife, Carolyn, his daughter ,Emilie, and his sons; Clay and Travis watch him compete, along with his father and brother. Ty’s love of competition and sports, along with his great sense of humor, have made him a perfect fit and a great addition to our team and we feel very lucky to be part of his journey. 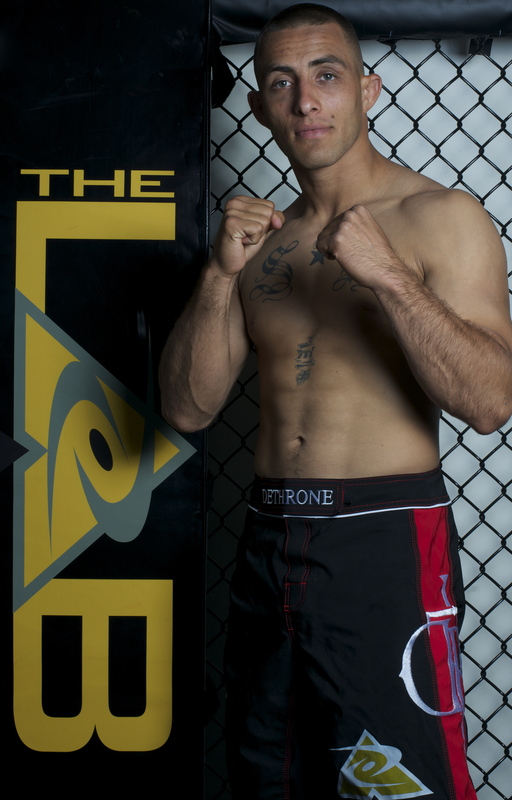 Yaotzin Meza ran his record to an impressive 17-6 tonight by beating Eric Regan via guillotine choke in Rd. 2. Yaddi is the consumate teammate, always there to help everyone get ready for their fights. It was awesome to see him get some time for himself last night and look great doing it. Thanks to Yaddi for being such a wonderful team player, without our team, all of us would have a hard time doing what we do. Congratulations Yaddi, we are very proud of you!! Santino DeFranco from Southwest MMA stopped by and showed us a cool technique he uses to help break the grip when going for a Kimura. We always love to see Santino, he is not only great at BJJ but a great guy to be around. Thanks Santino! Well, even though it is early September, it is never too late to recognize one of our own from the MMA Lab, Eric Aguilar. Eric is one half of the “Flying Aguilar Brothers” and is a great asset to our team and family. 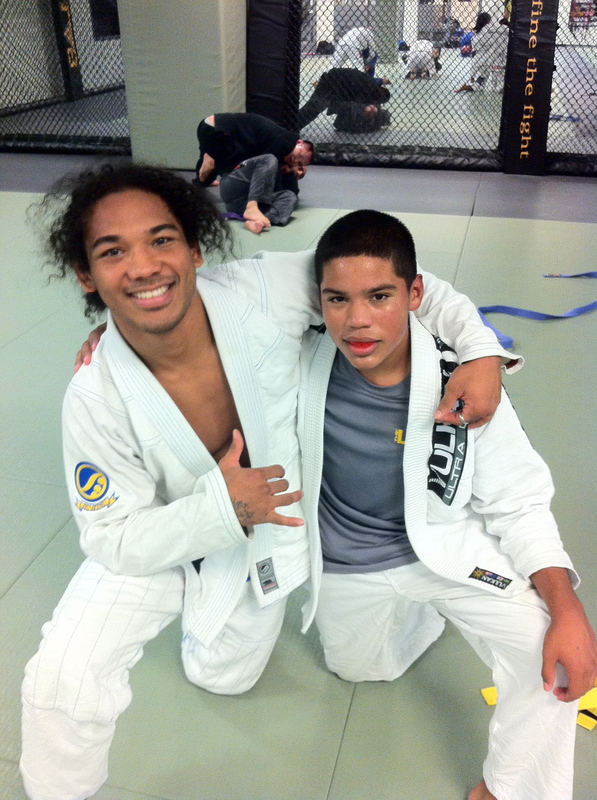 Eric helps us around the Lab, trains with the Elite fight team and is a wonderful kid. We are so proud of him and his accomplishments, hope you enjoy the feature! 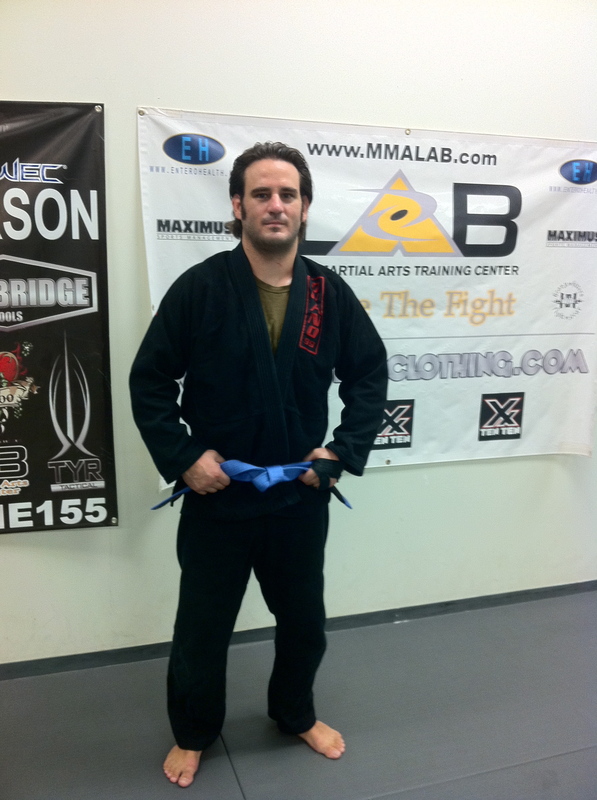 Today Alphonso Castalucci was awarded his blue belt. Alphonso has been a great addition to the team; besides winning his weight division at the state championship tournament, he is an ER doctor and has two beautiful children at home. As anyone who has competed with Alphonso knows, this promotion is just what the Doctor ordered! Congratulations Alphonso, you deserve it!